Titus Flavius Josephus (37 circa 100) was a 1st-century Roman-Jewish historian and hagiographer of priestly and royal ancestry who recorded Jewish history, with special emphasis on the 1st century AD and the First JewishRoman War which resulted in the Destruction of Jerusalem in 70 AD. He has been credited by many as recording some of the earliest history of Jesus Christ outside of the gospels, this being an item of contention among historians. Josephus was a law-observant Jew who believed in the compatibility of Judaism and Graeco-Roman thought, commonly referred to as Hellenistic Judaism. His most important works were The Jewish War (c. 75 AD) and Antiquities of the Jews (c. 94 AD). Antiquities of the Jews recounts the history of the world from a Jewish perspective for a Roman audience. These works provide valuable insight into 1st century Judaism and the background of Early Christianity. 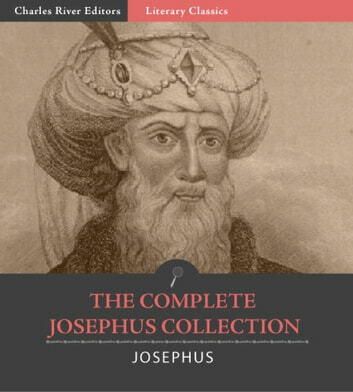 In the first 10 volumes, Josephus follows the events of the historical books of the Hebrew Bible beginning with the creation of Adam and Eve. The second 10 volumes continue the history of the Jewish people beyond the biblical text and up to the Jewish War. 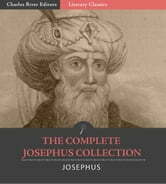 Josephus also wrote an autobiography of his life, which was so distinguished that the Romans awarded him citizenship. Josephus's Discourse to the Greeks concerning Hades is a short work published in the translation of Josephus by William Whiston. Erroneously attributed to the Jewish since at least the 9th century, it is now believed to be (at least in its original form) the work of Hippolytus of Rome. This work describes the author's views on the afterlife against the prevailing view of the "Greeks" (i.e., the Greco-Romans) of his day. He asserts that "Hades is a place in the world not regularly finished; a subterraneous region, wherein the light of this world does not shine; from which circumstance, that in this region the light does not shine, it cannot be but there must be in it perpetual darkness. This region is allotted as a place of custody for souls, in which angels are appointed as guardians to them, who distribute to them temporary punishments, agreeable to every one's behavior and manners." There are many references to the New Testament throughout the "Discourse". The Jewish War, also referred to in English as The Wars of the Jews and The History of the Destruction of Jerusalem, is a description of Jewish history from the capture of Jerusalem by the Seleucid ruler Antiochus IV Epiphanes in 164 BC to the fall and destruction of Jerusalem in the First JewishRoman War in AD 70. The book was written around 75 A.D. It was later translated into Greek, probably under the supervision of Josephus himself. Josephus work remains one of the only accounts of the First Jewish-Roman War.